With Batman v Superman: Dawn of Justice hitting theaters today, Warner Bros.' DC Comics Extended Universe (DCEU) is now in full swing, which will continue with Suicide Squad debuting this August. Wonder Woman is currently at the tail end of principal photography, and in just a few weeks, production begins on Justice League Part 1, which is set for release on November 17, 2017. Henry Cavill's Superman lies at the center of this massive universe, but that doesn't mean he isn't eyeing other roles as well. While promoting Batman v Superman: Dawn of Justice on BBC's The Graham Norton Show, the actor was asked if he would consider taking over the iconic James Bond role, should his schedule allow it. Here's what the actor had to say. "I'm very busy with the Superman stuff, but if there were any windows and they wanted me to do that kind of role, it would be great. I would love to do it." Of course, we don't even know for sure if the James Bond role is open, but it has been widely speculated that the 2015 action-thriller Spectre was Daniel Craig's last movie as 007. Even though Daniel Craig's exit has not been confirmed, the actor's longtime friend Mark Strong said in an interview last month that he thinks Daniel Craig's time as Bond has come to an end. If this is true, there are already a number of candidates who have been mentioned for the role. Tom Hiddleston revealed earlier this month that he would love the opportunity to play 007, and there has also been a grassroots campaign for Idris Elba to take over as the iconic spy. Spectre performed well at the box office last year, taking in just over $200 million domestically and $880 million worldwide. However, it still fell short of the 2012 blockbuster Skyfall, which earned $304.3 million domestically and $1.1 billion worldwide. In between his stints as Superman in Man of Steel and Batman v Superman: Dawn of Justice, Henry Cavill portrayed the spy Napoleon Solo in Warner Bros.' big screen remake of The Man from U.N.C.L.E.. After Henry Cavill wraps on Justice League Part 1, it isn't known how long of a break he will have before Justice League Part 2 starts filming, so it's possible that there could be enough of a gap in his schedule to shoot a James Bond movie, should he be offered the role. 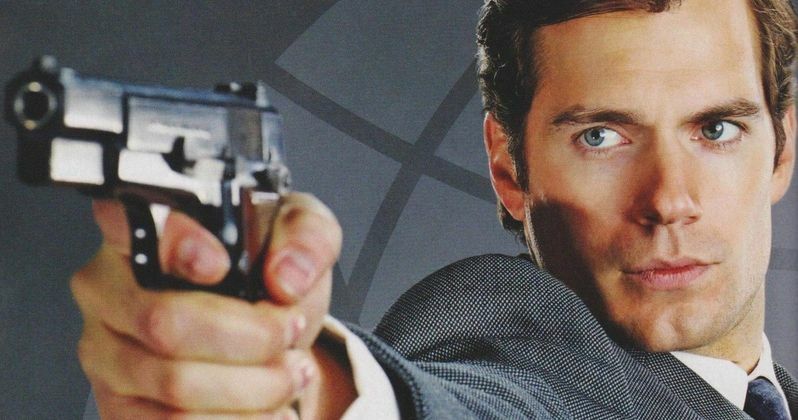 Do you think Henry Cavill should play the next James Bond?